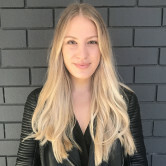 The ABC has the largest journalism operation in the country and its website is freely available while two of its major local newsbrand rivals, News Corp and Fairfax Media, have websites behind a paywall. ABC News has grown its monthly unique audience by 11% and is closing in on News Corp's frontrunner news.com.au in Nielsen monthly digital ratings for August. News.com.au shed 5% of its unique audience to 5.59 million while ABC News has grown to 5.18 million to be about 400,000 short. Another month of similar growth will see ABC News take top spot. 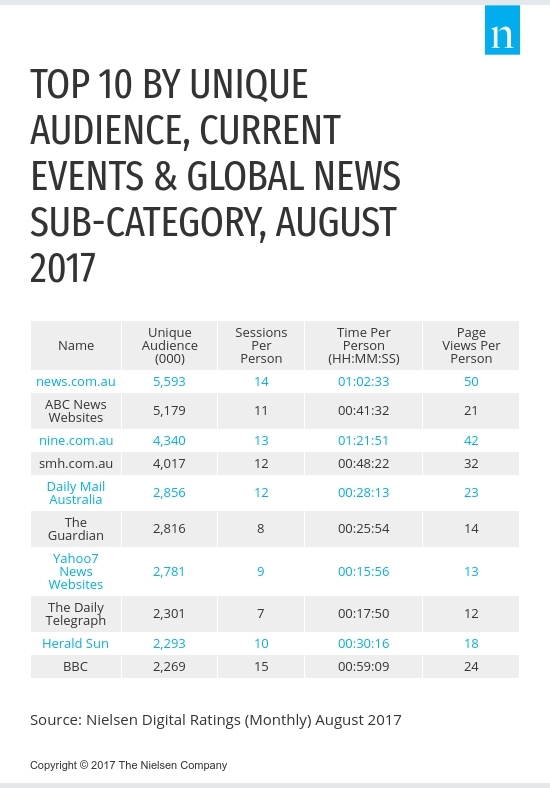 Nine's website, nine.com.au, attracts visitors for the longest time, an average of 1 hour and 21 minutes, followed by news.com.au with 1 hour and 2 minutes. This could be due to a high level of video content on the platform. In terms of audience, ABC News is now well in front of nine.com.au, which had an audience decline of 4% to 4.340m. Then follow Sydney Morning Herald's website, which lost 4% of its unique audience to 4.02 million. The​ ​Daily​ ​Telegraph​ ​(2.3​ ​million,​ ​+1%)​ ​jumped​ ​from​ ​ninth​ ​to​ ​eighth​ ​place,​ ​followed​ ​by​ ​Herald Sun​ ​​ ​(2.3​ ​million,​ ​+2%)​ ​who​ ​jumped​ ​from​ ​tenth​ ​to​ ​ninth​ ​and​ ​BBC​ ​(2.3​ ​million,​ ​-3%)​ ​who​ ​dropped from​ ​eighth​ ​to​ ​tenth,​ ​when​ ​compared​ ​with​ ​the​ ​previous​ ​month. 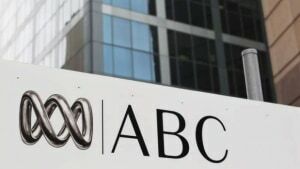 The latest shift could cause further tension between News Corp and ABC. Speaking at a recent NewsMediaWorks event, News Corp CEO Michael Miller questioned the ABC’s practice of investing in Google marketing campaigns to sideline commercial media outlets in search engine results. He said it was a "poor use of taxpayers dollars". It's a concern also expressed by Fairfax CEO Greg Hywood earlier this year.